Here you will find a series of resources you may find useful to better understand the work of the Partnership and Green Network's more generally. We've packaged up our media resources from our range of communications and incorporated useful links and recent presentations we feel offer a repository of useful information. To keep up to date with what's new, sign up to our newsletter or follow us on twitter. We’ve mainstreamed the way in which the Green Network is considered and raised ambitions for its delivery through strategic planning. Our film Showcase film highlights some of our ground-breaking projects. Our lastest animation outlines the benefits we will see from delivery of Green Network assets. The GCV Green Network Partnership aims to make the Glasgow metropolitan region one of Europe's most attractive places to live, work and play. Learn about our ambitious plans for the region through our Seeing the Bigger Picture film. Welcome to the GCV Green Network Partnership’s Media section. The information below should provide journalists with the background information they require on both the Partnership and the Green Network initiative. Further information, graphics, images and data can be provided by contacting us directly. 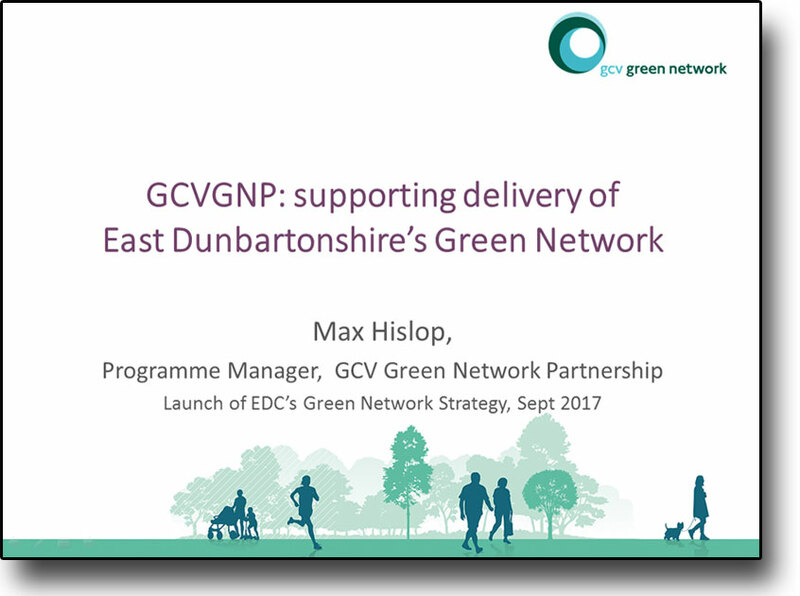 The Glasgow and Clyde Valley (GCV) Green Network initiative was launched by John Swinney MSP back in June 2007. Back then Mr. Swinney said "The Glasgow and Clyde Valley Green Network partnership will improve access to green and open space for local communities." "Making Scotland's spaces greener and more accessible is fundamental to increasing sustainable economic growth." 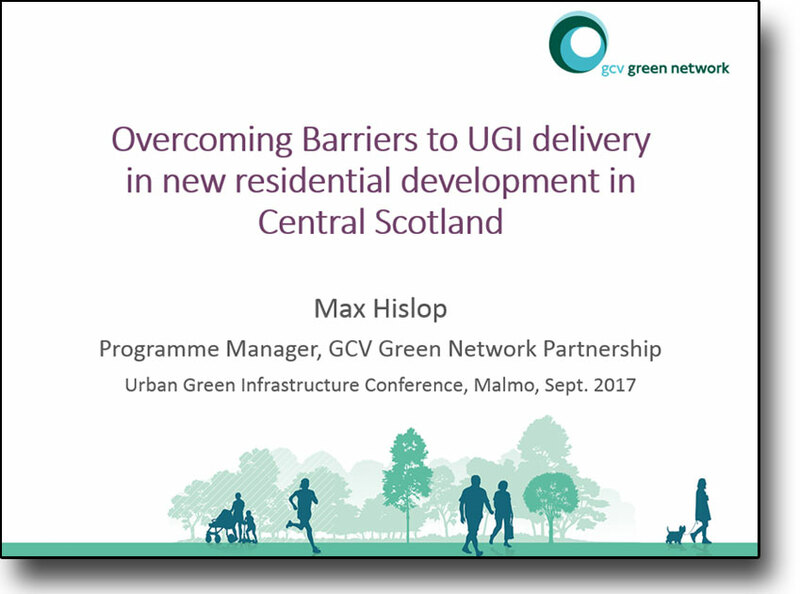 Since then the programme has gone from strength to strength and development of the Green Network now spans the whole of Central Scotland with the GCV region forming a vital component part of the Central Scotland Green Network. In 2008, the GCV Green Network Partnership launched the Seeing the Bigger Picture Campaign which set out our Vision for the future. Our film highlighted the issues the Green Network would address and the multiple benefits it would bring to both people and wildlife. 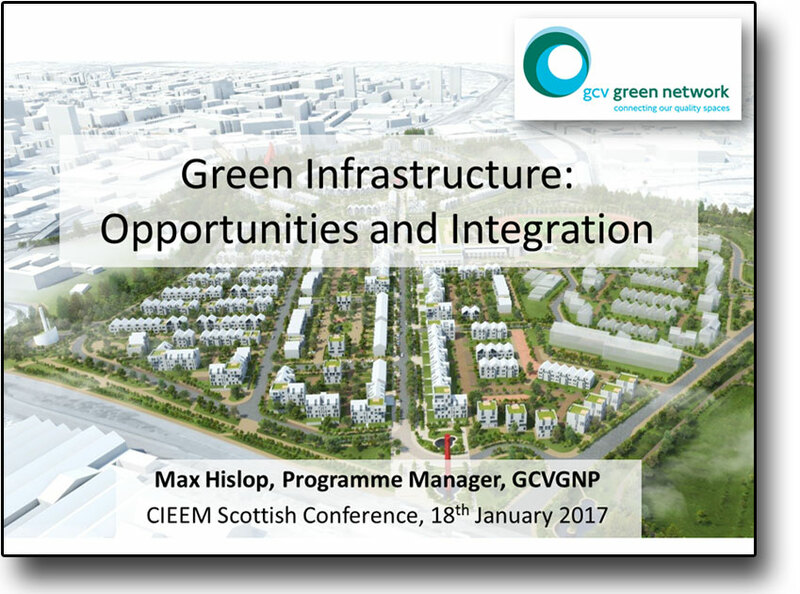 The planning system is crucial to ensuring the green network and green infrastructure is built in and retrofitted into development. Our work with planners at both strategic and local level has led to practical changes for positive green infrastructure implementation. Our blueprint is a key piece of strategic work which will help local authorities identify opportunities and make crucial connections around and between important locations. This blueprint is the cornerstone of the practical implementation of the Green Network and will provide the backbone for more localised green network connections. 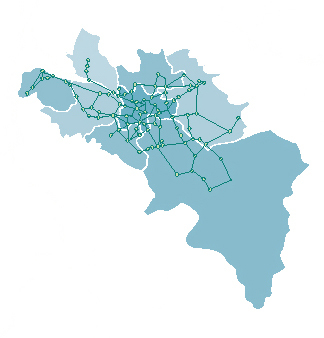 The City Region has led the way in developing and driving forward the Green Network concept. 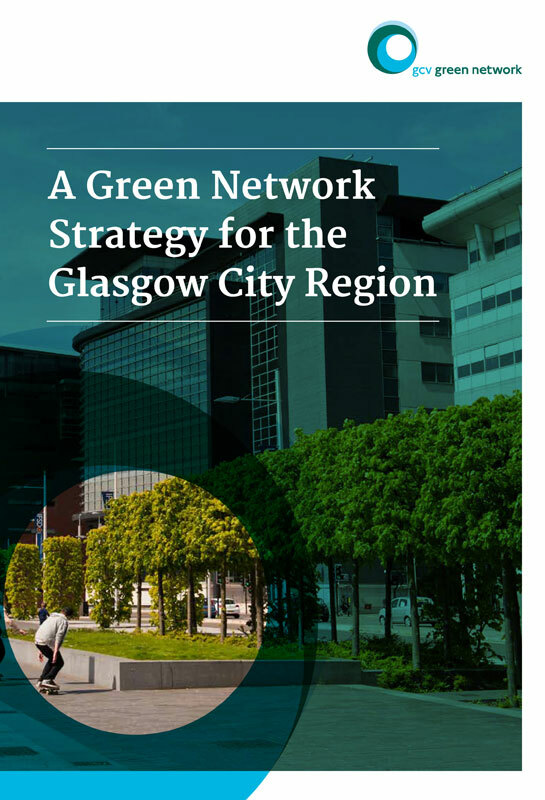 By working together and acting strategically over the coming years there is a tremendous opportunity to realise an array of Green Network benefits helping to make the Glasgow City Region a better environment for all those who live, work or visit here. The establishment of the Glasgow & Clyde Valley Green Network Partnership ten years ago was in recognition of the simple fact that improving the environmental quality, economic competiveness, and health and wellbeing of the Glasgow & Clyde Valley region required the creation of a Green Network. This Green Network would link urban and rural areas and be transformational in terms of its vision, scale and commitment to action. Since then, the Partnership has worked tirelessly to achieve that goal. UGI Conference Malmo 20 September 2017. East Dunbartonshire Council 8 September 2017.